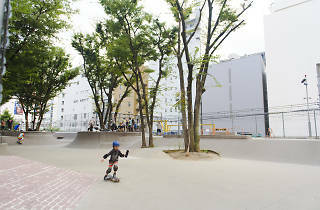 Long one of the most neglected corners of Shibuya, Miyashita Park had become a magnet for the homeless before it was controversially redeveloped by Nike, with new facilities including a skate park. 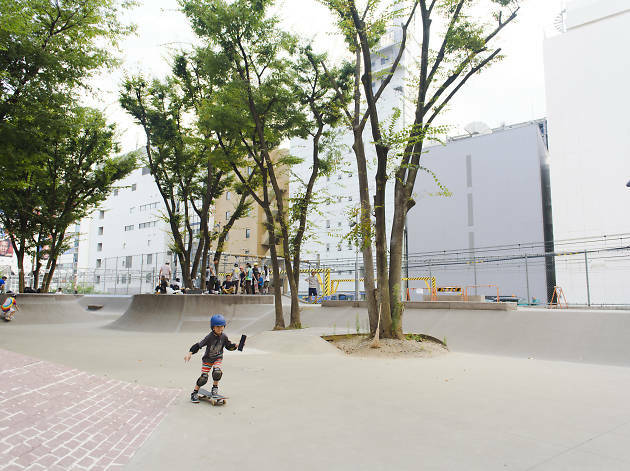 The overhauled Miyashita (plans to rename it ‘Nike Park’ were ultimately dropped) has certainly won over the city’s skaters. Legendary skateboarders P-Rod and Lance Mountain were involved in designing the park, which boasts a slick concrete bowl and stair sets including a photogenic 7-step. Wearing a helmet is mandatory and they can be borrowed from the club house free of charge.